It’ll come as no surprise that China was a key focus for speakers and delegates at this year’s sell out Quality First conference, held on the 17th April in London. “We knew that the impacts of China’s revised contamination levels and material bans under National Sword would be a hot topic,” said Simon Ellin, The Recycling Association’s chief executive. “What we couldn’t predict at that time was what they would be. “By and large, delegates and speakers confirmed our thoughts that the UK has pulled out the stops to meet the 0.5 per cent fibre contamination levels. “If you’d asked me back in January if this would be possible I would have said no. I’m happy to be proved wrong. But it’s still early days,” he said. “Of course, not all paper will meet the 0.5 per cent level; some has found other markets with less stringent contamination levels. But, if some is being sent to landfill, we need evidence of this to be made public now so that we can take action,” said Simon Ellin. Mary Creagh also told the audience that improvements in packaging design were essential, as were better industry communications. In a week when Facebook has come under extreme criticism, she told recycling delegates that they should be using the beleaguered platform to get clearer and more targeted messages out to householders. Richard Parker, Head of Sustainable Packaging at Iceland Foods, reassured the audience that the retailer’s decision to move away from own-brand plastic packaging was more than a headline-grabbing PR stunt. Plastic, he said, wasn’t doing a bad job, but something had to be done to stop it polluting the oceans, he said. Reassuringly, he told the audience that the recycling of new paper packaging materials could not just be technically feasible but had to be acceptable to paper recyclers. “It was refreshing to hear a retailer so open to collaboration,” said Simon Ellin. “Normally our members only get to hear about new packaging materials when they are launched. With so many product lines to re-package, it’s impressive that Iceland is consulting with the recyclers and reprocessors to ensure that its new solutions work on every level. Furthermore, that they will listen and change approach if needed. “But Iceland alone won’t turn the tide on unrecyclable packaging. We need retailers to band together, make the right decisions and create a scalable new solution,” said Simon Ellin. Perhaps the session that proved the biggest surprise at this year’s Quality First conference was the one dedicated to local authorities. 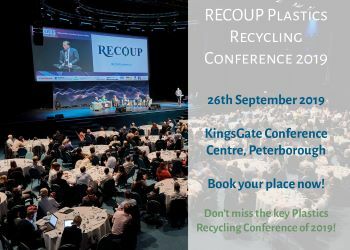 Speaker Lee Marshall, chief executive of LARAC, told delegates that, despite what we all think, the public didn’t really care about recycling and that they were in no way confused about what packaging could or could not be recycled. “We all know local authorities are under incredible cost pressures, but we didn’t expect that they could be so far adrift in terms of their recycling ambitions,” said Simon Ellin. “It has certainly left delegates worried. On a more positive note, there was a running theme of collaboration, cohesion and culture change that pervaded all presentations and panel discussions. “When we started the Quality First journey back in 2016, one of our ambitions was to bring the full supply chain together, to share responsibility for future solutions. We also wanted to raise awareness about the challenges faced by the recycling sector. “This year’s conference has highlighted how far we’ve come. We’ve seen other organisations calling for the same joined up approach and we’re delighted with the progress to date. But we have to keep our foot on the gas. “The industry has the ear of Government, and we need to ensure that they also work with us. I have no doubt, the upcoming 12 months will be another interesting period,” concluded Simon Ellin.